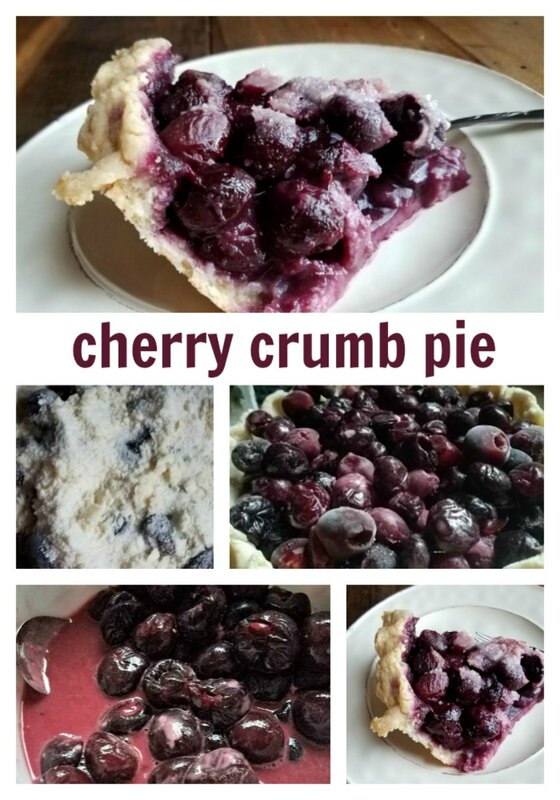 This cherry crumb pie is so good and yummy. 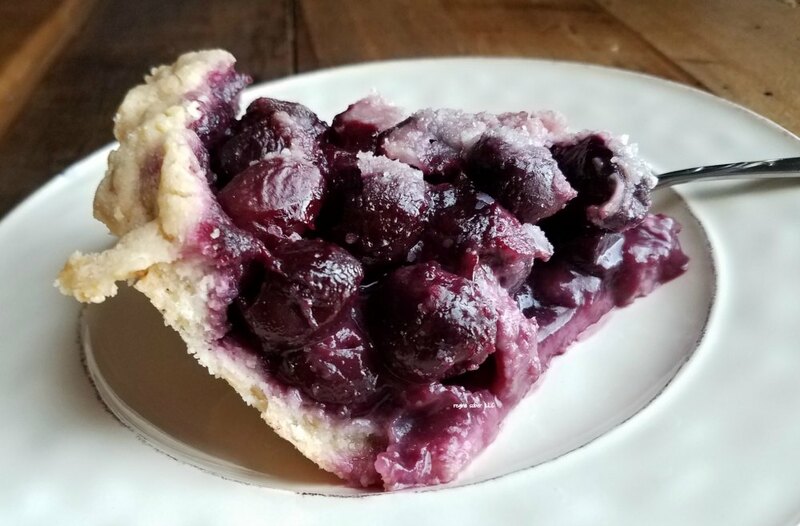 We used our pie crust recipe and cherries we canned for the filling and it was so good, I had a piece for breakfast! This is a perfect dessert to take with you to a party, or make just because you love cherries. Perfect if you have cherries coming out your ears and are looking for a way to use them up. In Michigan we have Traverse City, the cherry capitol of the world. We go up there every year and pick our cherries and freeze them to use later in the year (or 2). Roll your pie crust out and place into your pie pan. 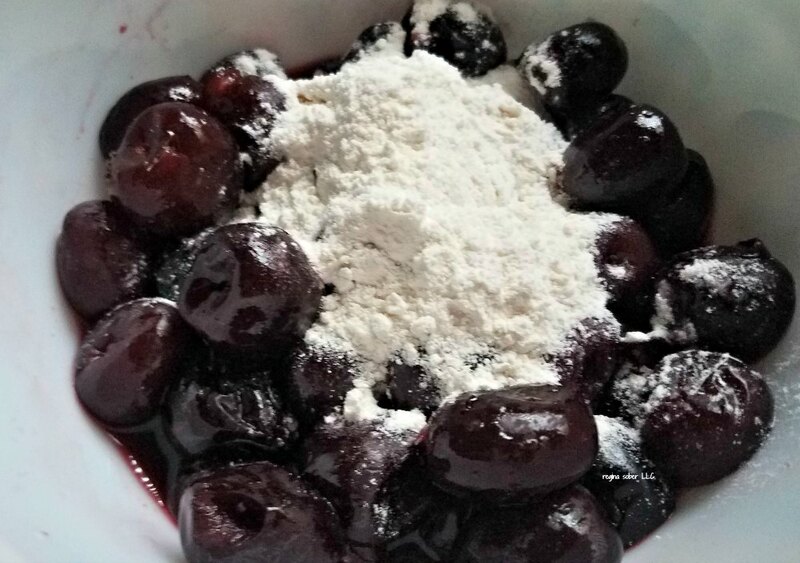 In a bowl, mix your frozen cherries with the 2 tablespoons of flour. 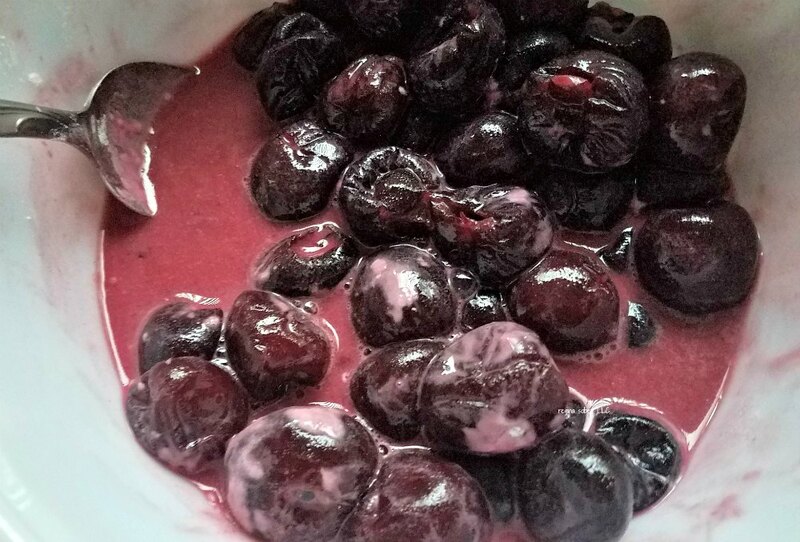 Place the cup of frozen cherries at the bottom of your pan. Add 1 pint/can of the cherry pie filling into the pan on top of the cherries. If it is not heaping like you want, add the second pint/can of cherries. In a bowl, mix the flour and sugar together. Add the butter and cut the butter in with a pastry blender..
Give up because it’s too hard to incorporate and put it in the food processor or get the hand mixer out. Sprinkle topping on top of the cherries until covered. Place in the oven and bake. When the crumb topping starts to turn brown, turn the oven down to 350. Bake for a total time of 35-40 minutes or until the filling starts to bubble. 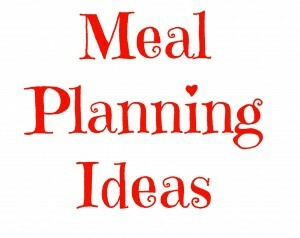 I’m always looking for recipes that can be made with ease and have a minimal amount of ingredients. this is perfect.Thanks! I love simple recipes with few ingredients. I must admit, I ate it all. Not at once, but it was sooo good. That looks good. I’m not really a cherry pie fan. I guess other fruit can be used in place. You could definitely put any fruit in there you want to make a pie. I just have canned cherries. This looks yummy. I love cherry, my family loves apples, I can probably substitues apple filling instead of the cherry filling. 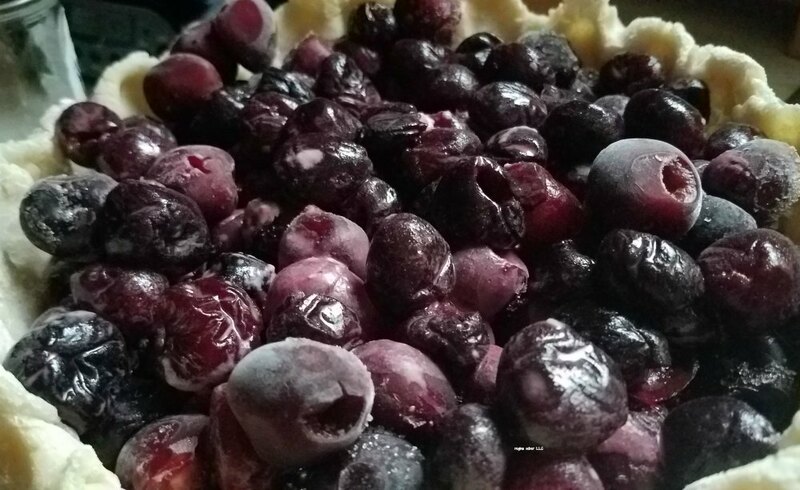 You can definitely use the fruit that your family loves most to make this pie! It is one of my favorites too, next to Apple and Pumpkin. Me too. It was delicious. Mmmmmm!!! That looks sooooooo good! I know my kids will kill for just a bite of that scrummy pie! It was Veronica. The crumb topping was to die for. I need to make this for my husband, what a treat! I think he would love it Jaclyn. A great treat. I’m thinking of making another now myself. I hope you enjoy it Lynn. It was devine!